LONG BEACH — The Port of Long Beach has plans to build a state-of-the-art fireboat station at Berth 55. But standing in its way is the 40-year-old Queens Wharf seafood restaurant and market, and Long Beach Sportfishing’s docks, which are the home to quarter-, half- and full-day charter vessels and commercial squid and fishing boats. Located off the 710 Freeway at 555 Pico Ave., Berth 55 offers one of the few public access points to the Port of Long Beach’s harbor, which over the years has become more an industrial container port, with many of the recreational and public facilities moving to Long Beach’s Shoreline Marina and downtown harbor areas. 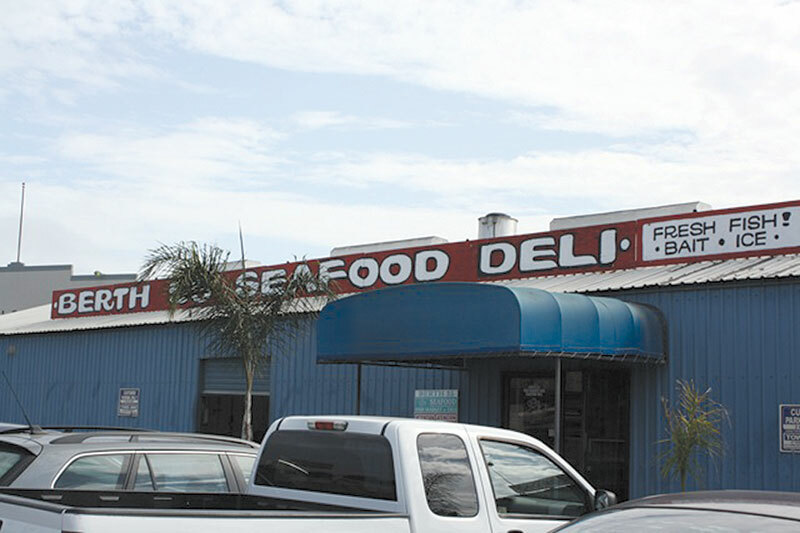 Over the years, the restaurant and seafood market have become a mainstay for longshoreman taking a lunch break and area residents looking for local crab, fish and other seafood to enjoy. “It’s really one of the last places in Long Beach where you can get fresh crab steamed up, take it outside, crack it open and enjoy it,” said Lawrence Maehara, manager of Queens Wharf and son of leaseholder Rebeca Maehara. The family has been operating Berth 55 for the past 24 years, subleasing the dock space to commercial and charter fishing vessels. The Maehara’s original 20-year lease ran out in 2008, with the family run business operating on a month-to-month basis since then. But in early May, a letter from the Port of Long Beach informed them that no lease renewal was coming, and the 10 or so small businesses operating out of Berth 55 would have 180 days to be off the premises, starting May 25. The problem has arisen due to the port’s need to relocate the current fireboat station, which is marked for demolition to make way for the nearly $1 billion expansion of the Gerald Desmond Bridge. Port spokesman John Pope said that, according to studies conducted in coordination with the fire department, the only site that was found viable for relocation was Berth 55. “They’ve been notified for some time, since the lease has not been renewed since 2008,” Pope said, who noted that Berth 55 tenants have been in good standing with the port over the years. But with Berth 55’s location tucked away from the harbor’s main channel, Maehara wonders about the feasibility of a fireboat station on the site. The boats often must respond to calls at high speeds, which could leave behind damaging wakes to nearby waterfront businesses, he said. Despite the eviction notice, Maehara said he hopes that a compromise can be reached between the port and the businesses, which would allow both entities to share the space. On Berth 55’s dockside, Long Beach Sporfishing, which is managed and operated by Michael Redlew, will have its lease run out, as well. Redlew currently subleases dock space to around seven different boat operators. In an interview with Long Beach Business Journal, Redlew said the businesses are hoping to work with the city and the port to come up with a solution to stay at the location. Otherwise, they would have to close up shop. The port will not be providing relocation assistance for the tenants.